"Is finnciti a scam" or "Is smicap a scam". Reviews were in mixed bag. Some mention that they earned big bucks and its a platform for normal people to get richer while some other point out some resemblance of a scam structure and therefore classified finnciti as a scam platform. I am a layman using basic logic to analyst the concept and by no mean I am advising to invest or against it. But in my humble opinion, ALL INVESTMENT POSSESSES RISK AND PLEASE BE PRUDENT WHEN DOING ANY KINDS INVESTMENT AND ONLY INVEST IN YOUR MONEY THAT YOU CAN BEAR LOSING. 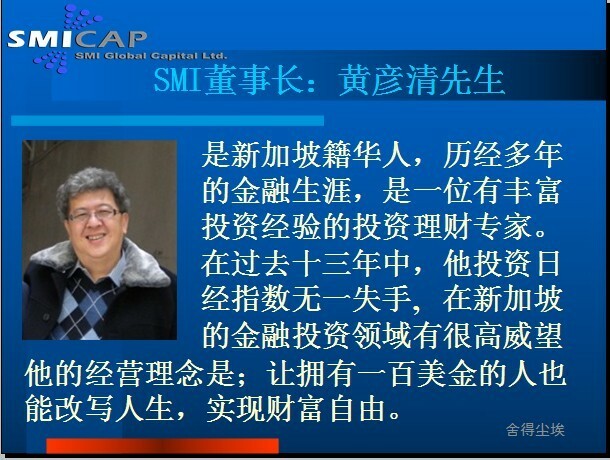 SMICAP was established in 2007 by Singaporean Simon Ng(黄彦清) and subsequently renamed to finnciti in 2012, at point of writing the company is 9 years old. 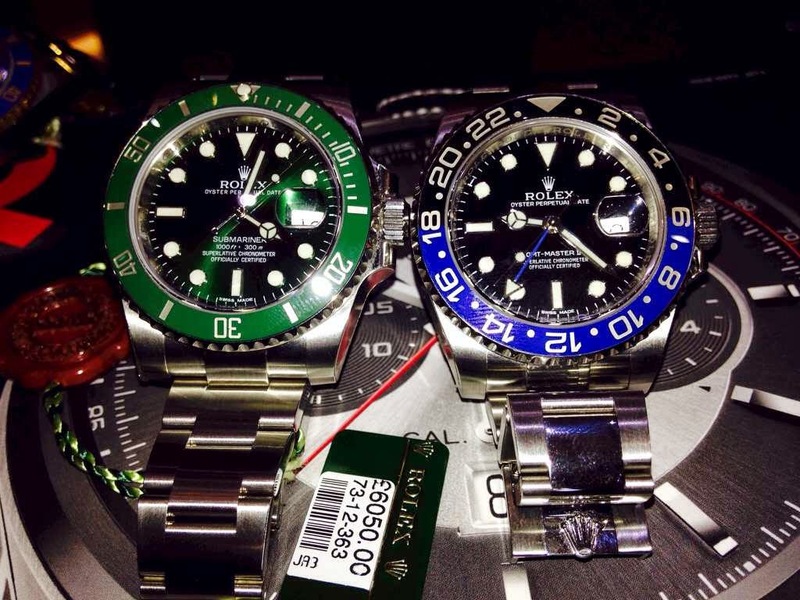 I do not want to touch base on the history of the company as there are website like http://finnciti.blogspot.sg/ out there providing better information. In China, Fuzhou, at least. He is under investigation. The game had limited number of robot, you can view its as "token". Basically anythings that are limited with more demand will make the token price to increase in value. When new sign up comes in, value up and existing player get to profit from the price increase of the robots that they initially had. The game is designed in a new that the price of the robot can only increase but do not decrease. How can a system increase in value infinitely? This is how its works, assuming that the robot is 30cents each. You holds 10 unit of robots so the total value you have is $3. Imagine the price goes up to 60cents each robot the designer of the game do a splitting of robot. So instead of 60cent of 10 robots, you now instead have 20 robots of 30cents. (simple illustration) In a way to help balance out the supply and demand. Noted that although now the robots increase in quality, but the value is adjusted to be the same. If everyone earns money, how the money comes from? analogy: like if you buy a house for 50k, and the demand is appreciated to 100k. The new buyer buy the house for 100k. You gained 50k profit but the buyer loses 100k from the pocket. (money had to be come in somewhere). So before the new buyer can profit form the house he brought he needs to speculate and wait for newer buyer to buy the house from him. Just that instead of buy/sell house, you are buy/sell virtue token/robot/unit or whatsoever they want to call that. Its a paper value of something virtue and non existence. Just like forex you are buying the surface value of something without actually owing anything except the contract. Is it a ponzi scheme or a scam? Ponzi scheme is often the concept of taking new comers joining fee and pays it to the existing overwriter. But because of the high amount of guaranteed returns, the scheme is fail at some point of time. So no, I don't consider finnciti as a ponzi scheme. A system that is sustainable compared to ponzi scheme is that all the level of particant need to profit from the platform. Finnciti tried to take it slow and make sure everyone is profitable so like MLM, the designer, pioneer batch and the veteran existing user will no doubt gain from the system. But one thing is the money cannot be reproduced for thin air hence the money will have to be coming out from the new comer. The leverage and damage will transferred to the newer hirer and so on and so fore. So in another words, in my humble opinion as long as there are new comer or recruit, the existing players are still capable of gaining from the system. To I support the concept? I do like the way it was designed so that the poorer group of people do benefit and I actually thinks that they can earn money thru the platform. However I really advise only to play with money that you can bear losing. In the nutshell, finnciti contain certain elements of MLM and its do not consider a scam unless the company resolve and folds. Its open to public srutinity so if you are confident that the market will be confident. Ultimately it will only be as strong as the faith of the people willing to believe in it. Are you paid to write article ? It's Obviously a PONZI Scheme & why you can't see it ?? Hi mr richard. I am not paid to write reviews. And i approved ur comment because i just want to further act upon, that my writing is personal and opinion, i love the concept doesn't mean i endorse their way of operation in finnciti. At point of writing i am writing my finding and views on the concept (not the company). Everyone can judge for themself. I don't have a single interest with the company. Not invested as well, because the profitability is questionable. But the concept works. Insurance is also a concept. If you believe and invest so then the company can profit then they can proceed promised payout. 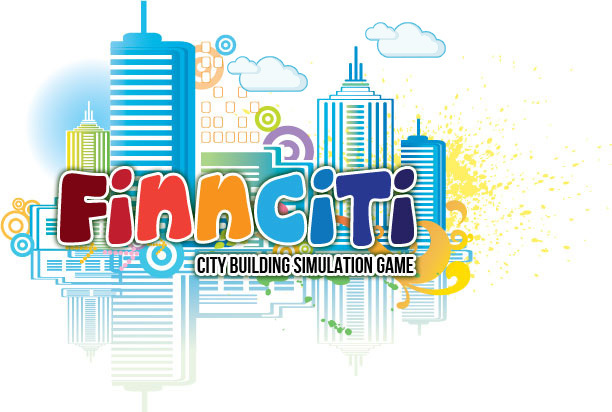 Finnciti do not have strong backing and regulation so the risk is there. People should proceed with prudent. But the concept work like insurance. Insurance work because in the end so people buy into it hence now it became substainable. Finnciti concept is in infant stage so please all. I advise you all take my writing as a personal view. Nothing factual. Are you sure?others have no problem logging in,selling out or cashing in? Did you send anything to the company email to enquire?